Christianity was a universal religion. For all its sectarian tendencies, it crossed every boundary of language and race and class. It was a way of life, and it had philosophical content. Once spread beyond the frontiers, it did much to humanise the barbarians, who would otherwise have invaded as pure savages. It also provided a check to misgovernment. The Jews aside, it is hard to think of any religious group that had been able to face down a determined pagan emperor. Once Constantine himself was dead, the clergy could rally the faithful as they pleased – usually for the Empire that they now dominated, but also against any emperor who in their opinion went too far. The Christians did nothing to bring on the fall of the Western Empire. That was an effect of climate change and military blunders. But their wholesale conversion of the barbarian invaders, and their establishment of schools and libraries, led Europe seamlessly into the decentralised and highly creative civilisation of the middle ages. The main barrier to progress in the West was the lack of an authoritative version of the Bible. The New Testament had been written in Greek. There was an authoritative Greek version of the Old Testament. At first, Western Christians were expected to learn Greek. After that, they were served by partial and often defective translations from the Greek. As the Western Church approached the end of the fourth century, the need for an authoritative version became pressing. This authoritative version needed to possess three qualities. First, it had to be an exact translation that could stand by itself. For the Old Testament, this meant a translation directly from Hebrew and Aramaic. For the New Testament, it meant a translation that did not require or encourage educated readers to keep running to the original Greek to see what had been intended. Second, it had to be a translation that the ordinary people could more or less understand. As said, Christianity was a universal religion. Not all believers were equally capable to appreciating its complexities. But all had to be equally capable of understanding its core texts when they were read in church. Now, the spoken Latin of the Late Empire was substantially different from the written classical language. It was simpler in its grammar, and its vocabulary was changing. There was no need for all these changes to be reflected in a Latin Bible. At the same time, the language of the Bible had to be broadly accessible to the uneducated. Third, it had to be a translation that would not be thrown aside by the higher classes as illiterate trash. It did not need to be something that Cicero might have admired. But it did need to show some continuity with Classical Latin. One reason this translation needed to wait until the beginning of the fifth century was that the Western Church had no one of sufficient genius and learning and endurance to undertake it, or even to supervise its undertaking. At last, it found its man in Jerome, a monk from what is now Slovenia. He was a master of Latin prose and fluent in both Greek and the relevant semitic languages. With a commission from Pope Damasus and funding from Paula, a wealthy aristocrat, he withdrew from Rome to Bethlehem. There, working by himself over about twenty years, he put together what, with minor changes after the Council of Trent, remained the authorised version of the Catholic Church until it was replaced in 1979. 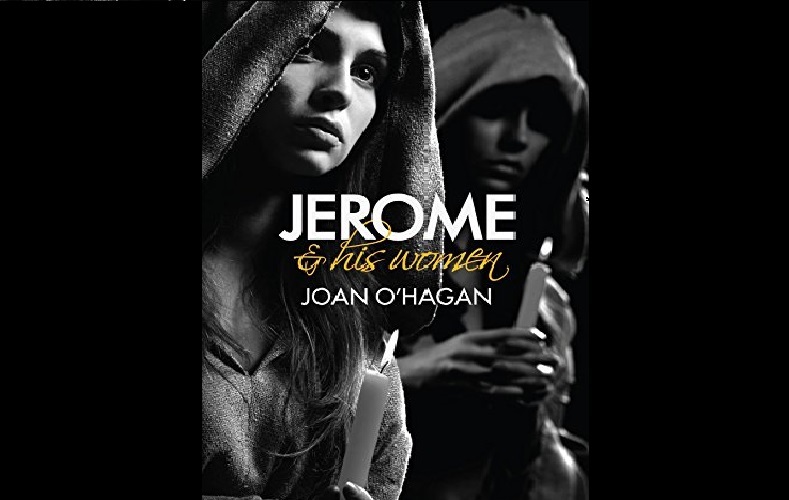 Taking all this as her starting point, Joan O’Hagen asks what kind of man was Jerome? Her answer is not flattering. The problem with genius is that it is usually self-absorbed and not very sociable. Jerome goes about Rome, spreading misery at every step. All his secretary Aetius wants is to become a deacon. He has dragged himself from the gutter by getting the best education he could. He has put up with endless slights. He is aware of his own great abilities. Why not ask for preferment? Men of lesser abilities are sailing forward. What not Aetius? All Jerome needs to do is put in a quiet word with the Pope. Does he put in that word? No. He tells the poor young man to shut up. Aetius then stabs him in the back – wrong, but hardly unexpected. She comes to a bad end. He hates Pelagius and his doctrine of freedom of the will. He despises Ambrose of Milan for copying a Greek treatise into Latin as his own. He rails against the more worldly priests for their hypocrisy and quiet fornication. At no time is he aware of his own vast arrogance. So Jerome was a useful man to contemplate at a distance – not a man whose actual company was to be sought, let alone enjoyed. But this novel is not an exercise in character assassination. Rather, it attempts to show what Rome was like at a particular moment in its transition from capital of a pagan empire to the City of God. We have rich aristocrats, going about their business of spending and enjoying and jockeying for position, in an Empire that is coming under increasingly unbearable strain. We have priests on the make, and a Church that is, after just half a century of favour, turning as imperial as the Roman State itself. There are no battles, no high politics, no actual adventures. The strains of empire are revealed only in conversational asides. It really is as if Jane Austin had been set down in Rome in the 380s, and left to write about what she saw. Did I enjoy the novel? Do I recommend it? The answer is yes to both. It is as unlike my own fiction as I can imagine. All the same, it produces a compelling vision of a past society and of the characters who made it, and is based on solid research. It has also raised my interest in Jerome as an original writer, rather than as just a translator. I enjoyed the novel. I recommend it. I am inspired to look beyond it. What more can or should I say?